Once upon a time I judged that growing flowers was a waste of water; water in the desert should be reserved for growing food. Something changed after I planted myself on my own piece of land almost 20 years ago. 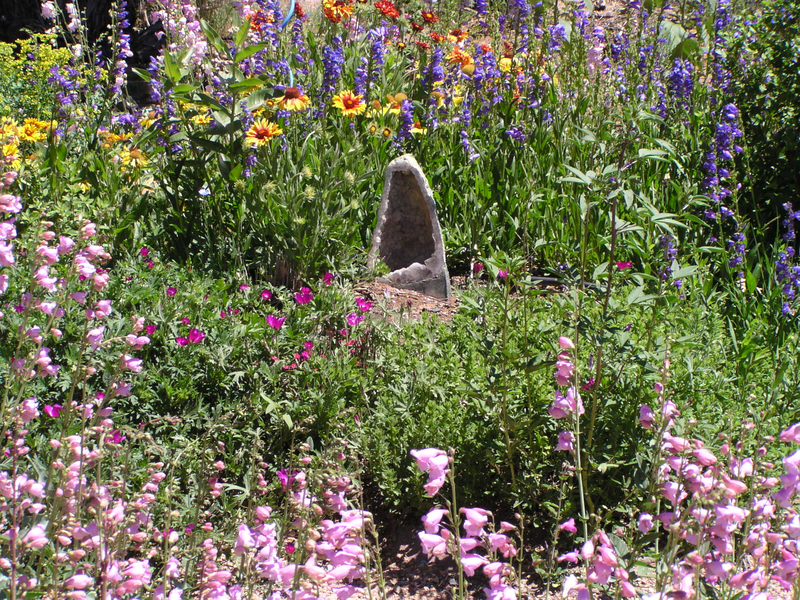 I started with xeric perennials and shrubs that would provide habitat for native and migratory birds, and built a little botanical garden that hosts birds and all manner of other animals, including snakes, frogs, salamanders, bees, deer, rabbits, squirrels, chipmunks, and the occasional predator. I learn something every day, each foray out into the yard or the wild woods that surround the yard brings some kind of delight, solace, inspiration, or adventure. For years I have recorded morning rounds in pictures and words. Observations, events, ideas; plans, surprises, insights. Not every day, but almost. Not always in the morning. Growing things, watching things grow, gives meaning and form to my life. 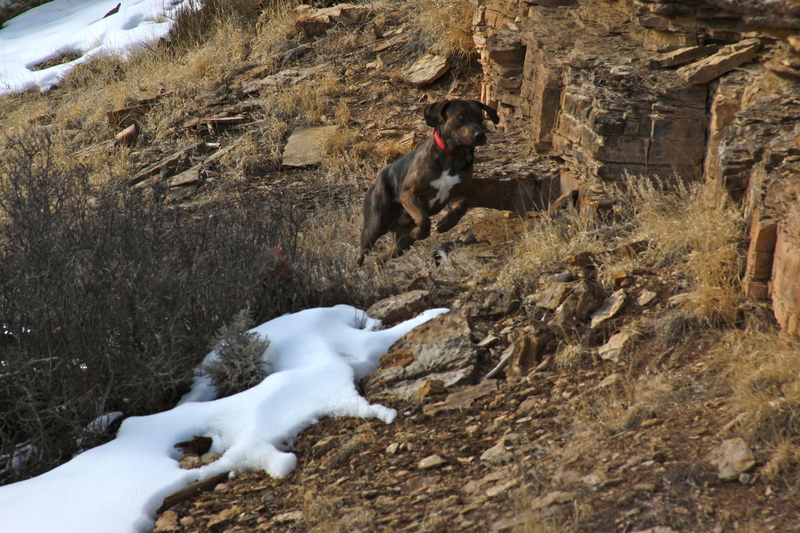 Animal companions also bring joy and structure. 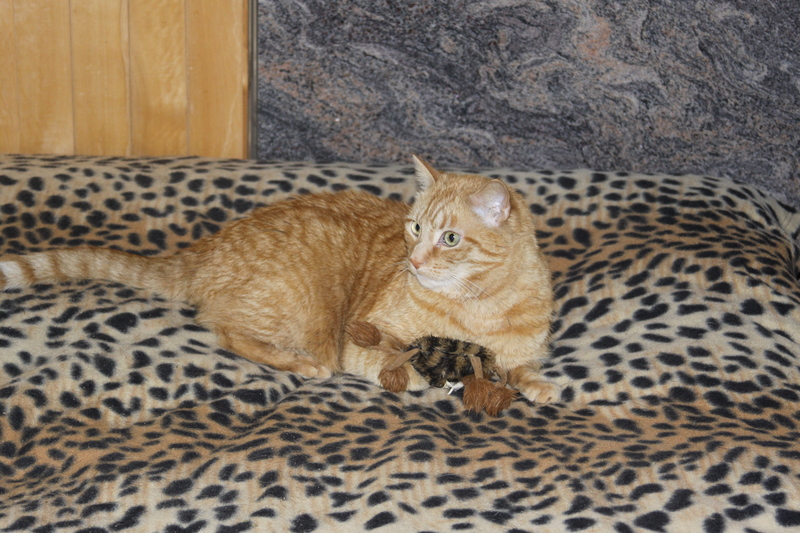 Brat Farrar, aka Puma, lounges with his leopard toy. He died of systemic failure in spring, 2015, just weeks before new kittens joined the household. 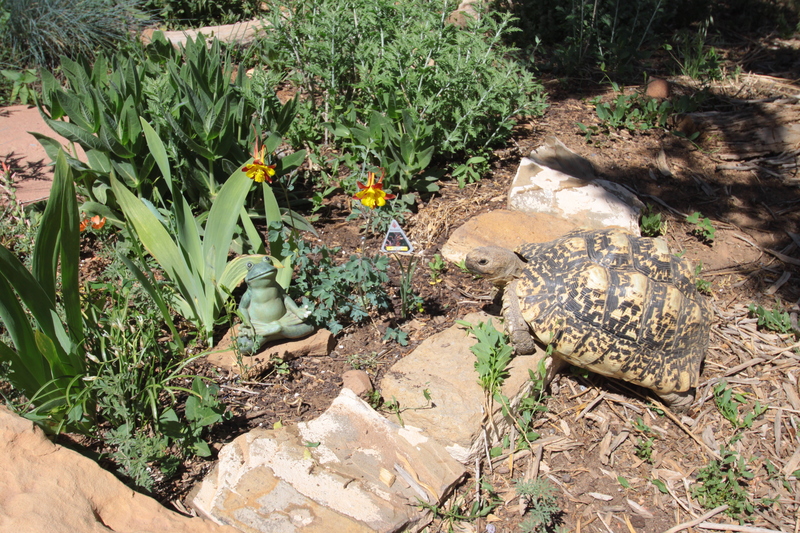 Biko the leopard tortoise enjoys free run of the yard in summer. Ojo, the six-million dollar black cat, dressed to kill. Topaz the tortoiseshell enjoying a dry bath in the copper sink. Ojo and Topaz unexpectedly joined the household in summer 2015, after the neighbors’ cat gave birth. I love it Riri! What a perfect venue for your musings and those beautiful photos. I love the effervescent quality of the pictures taken through your bee window! I want one of those! 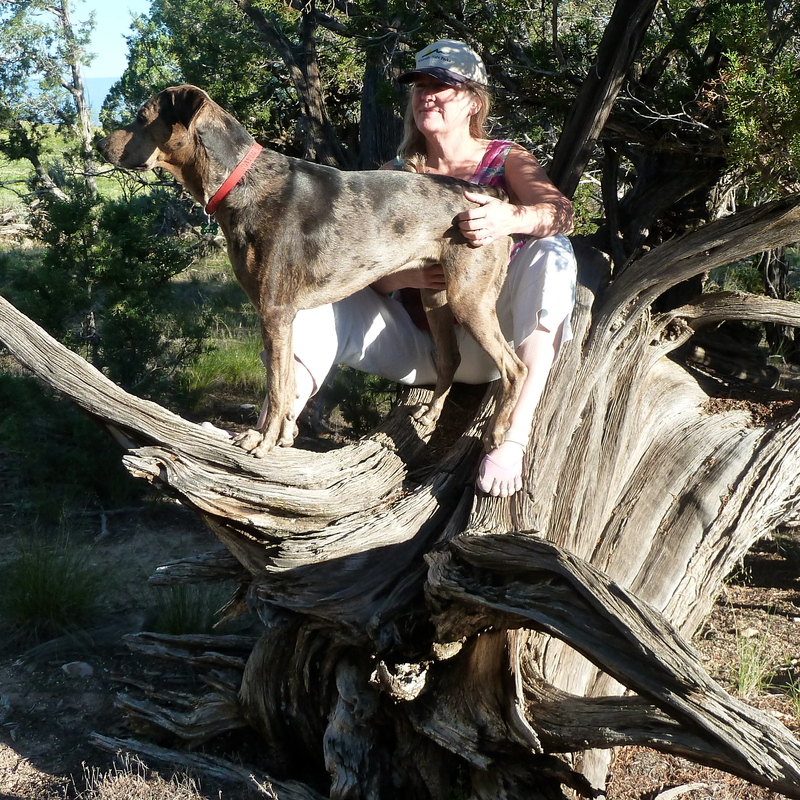 Rita, your photos and writings soothe my soul……………….love them, love you. thanks, jenifer! that’s all i need to hear to keep inspired. wow. somehow i only just now saw this. thank you for the nomination! i hope you continue to enjoy the blog. I visited your website and appreciate your horse photos. I tried to follow, but it would not let me, said it wasn’t a valid email, but it is. I will check back in another time! I just found a picture of yours at my locoal thrift shop. Its called porcelain basin. It is 19/30. Was wondering of you could tell me more about it. Its really cool by the way. Thanks Rita. I think it must have been one I took in Yellowstone or somewhere around there about 30 years ago! WoW! Where is your local thrift shop?